We are honored to announce the release of Patriotic Country™, a compilation CD jam-packed with patriotic music from 18 of today's greatest country music stars. Patriotic Country™ is remarkable because it is designed to raise awareness for an amazing charity - the Armed Services YMCA (to suppport active-duty troops and military families). CDs are available through direct TV, the Internet, and Wal-Mart, Target, K-Mart and all major retailers nationwide. Through Patriotic Country™, a host of renowned artists are united as part of a heart-warming charity effort to support our troops & their families including Brooks & Dunn, Kenny Chesney, Lonestar, Martina McBride, Montgomery Gentry, Aaron Tippin, Lee Greenwood, Neal McCoy, Kenny Rogers, Randy Travis, Phil Vassar, The Warren Brothers, Dusty Drake, Hank Williams Jr., Alabama, The Charlie Daniels Band, David Ball, and Blackhawk. Highlights include a previously unreleased version of "God Bless America" by Martina McBride. Lee Greenwood, known for his anthem "God Bless the USA" and the founding father of the patriotic country genre, is the celebrity spokesman for Patriotic Country™. "The BMG Strategic Marketing Group and Music For A Cause partnership with the Armed Services YMCA (ASY) continues our tradition of lifting the spirits of active duty troops. The ASY is honored to be the official charity for Patriotic Country™. "Americans want to support our troops in a uniquely American way, expressing patriotism and celebrating freedom. 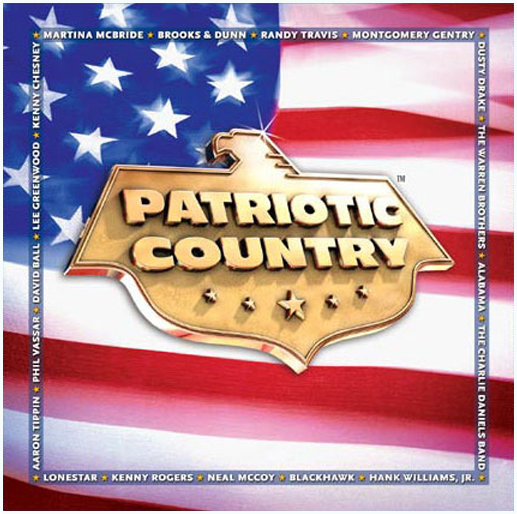 BMG answers this call with Patriotic Country™ where listeners enjoy an inspiring variety of great music with patriotic themes from country's greatest stars. Some songs we all know and love, others are newly released", explains BMG Executive Vice President Joe DiMuro. "What sets Patriotic Country™ apart is that these unique songs have 18 great country artists singing the same tune - that some of America's greatest stars are the men and women in uniform who risk their lives for our freedom." Click here to get your copy of Patriotic Country™ today! 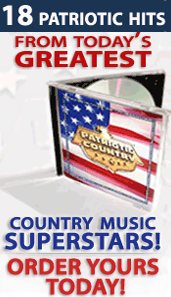 "I am proud to be a part of Patriotic Country™, along with all the other outstanding artists on this CD. Supporting Patriotic Country™ is a way to show the brave men and women, fighting to protect our nation, how much we appreciate their incredible service. As Americans, we all have a duty to celebrate the freedom, courage and compassion that makes this country great and the Patriotic Country™ CD is a way to express my deep thanks."